What’s happening while I’m on Dr. Cliff’s table… enjoy this amazing article by Tara MacIsaac from Epoch Times. To read the original article click here. 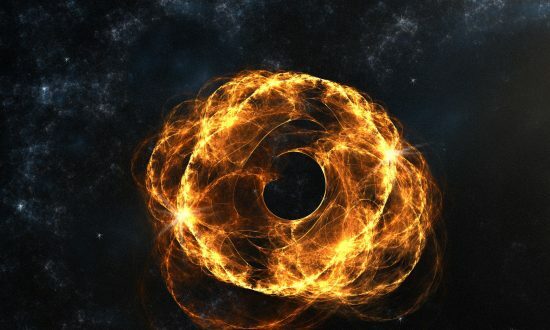 Between quantum physics and neuroscience, a theory emerges of a mental field we each have, existing in another dimension and behaving in some ways like a black hole. The relationship between the mind and the brain is a mystery that is central to how we understand our very existence as sentient beings. Some say the mind is strictly a function of the brain — consciousness is the product of firing neurons. But some strive to scientifically understand the existence of a mind independent of, or at least to some degree separate from, the brain. The peer-reviewed scientific journal NeuroQuantology brings together neuroscience and quantum physics — an interface that some scientists have used to explore this fundamental relationship between mind and brain. An article published in the September 2017 edition of NeuroQuantology reviews and expands upon the current theories of consciousness that arise from this meeting of neuroscience and quantum physics. 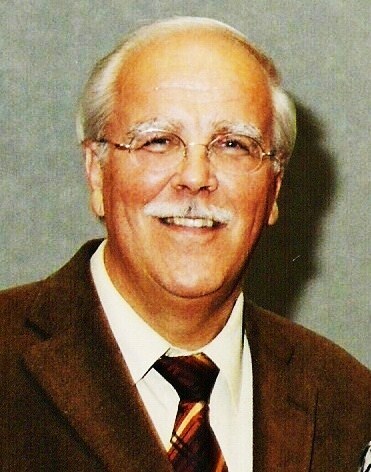 Dr. Dirk K.F. Meijer, a professor at the University of Groningen in the Netherlands, hypothesizes that consciousness resides in a field surrounding the brain. This field is in another dimension. It shares information with the brain through quantum entanglement, among other methods. And it has certain similarities with a black hole. This field may be able to pick up information from the Earth’s magnetic field, dark energy, and other sources. It then “transmits wave information into the brain tissue, that … is instrumental in high-speed conscious and subconscious information processing,” Dirk wrote. In other words, the “mind” is a field that exists around the brain; it picks up information from outside the brain and communicates it to the brain in an extremely fast process. Extremely rapid functions of the brain suggest it processes information through a mechanism not yet revealed. There’s an unsolved mystery in neuroscience called the “binding problem.” Different parts of the brain are responsible for different things: some parts work on processing color, some on processing sound, et cetera. But, it somehow all comes together as a unified perception, or consciousness. Information comes together and interacts in the brain more quickly than can be explained by our current understanding of neural transmissions in the brain. It thus seems the mind is more than just neurons firing in the brain. Neuroscientists are still searching for a mechanism for this “binding” of disparate parts of the brain’s information processing. Meijer has turned to quantum entanglement and tunneling for part of the answer. Quantum entanglement is a phenomenon in which particles appear to be connected over vast distances. When actions are performed on one of the particles, corresponding changes are observed on the others simultaneously. Quantum tunneling is a phenomenon in which a particle tunnels through a barrier it shouldn’t be able to according to classical physics. These quantum phenomena allow for processes so rapid, they can’t be explained with classical physics. So they may help explain ultra-fast subconscious mental processes. Principles of quantum physics may explain how the mind processes information. If the “mind” or mental field could interact with the brain this way, it could be a step toward explaining the rapidity of mental processes. Meijer also uses the wave-particle nature of matter in quantum physics to explain the relationship between the mental field and the brain. Essentially this principle holds that electrons and photons exist in the form of waves, but can also behave like particles. In a manner of speaking, they are both waves and particles. The mind and the brain, according to Meijer, are connected. They are unified, yet separate. Such an apparent paradox is characteristic of quantum physics. The mind may reside in another spatial dimension. He clarified that this fourth spatial dimension is not time (time is commonly described as the “fourth dimension”). Rather, this is a concept of space-time that includes four spatial dimensions, plus time (a “4+1 space-time structure”). He cited studies that have suggested this concept of dimensions could reconcile the miss-matches between traditional physics and quantum physics that plague scientists today. The mind would exist in the fourth spatial dimension. 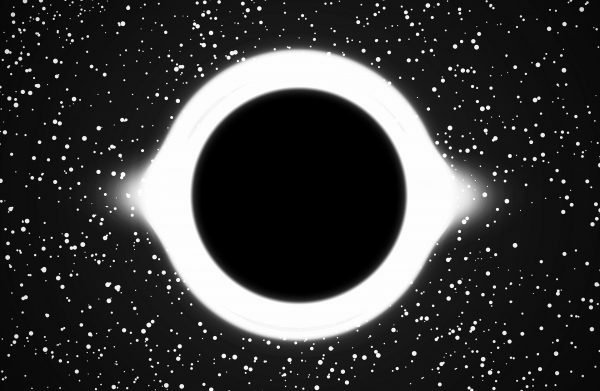 The mind could be like a black hole. Meijer envisions a sort of screen or boundary between the outside world and the individual mental field. He likens this boundary to the event horizon of a black hole. 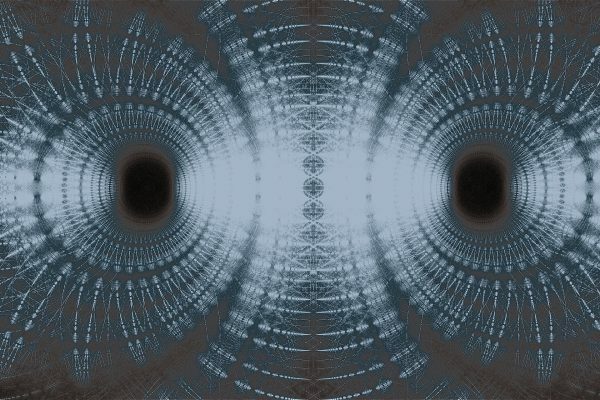 “It is assumed that information entering a black hole from the outside is not lost, but … rather is being projected on its outer screen, called the ‘event horizon,’” Meijer wrote. The structure of the hypothesized mental field could take the shape of a torus. The geometrical shape known as a torus is well suited for the nature and functions Meijer attributes to the mental field. Meijer presented various reasons within physics theories for choosing this shape for his hypothesized mental field. One reason is related to a theory of how electrical activity in the brain oscillates. 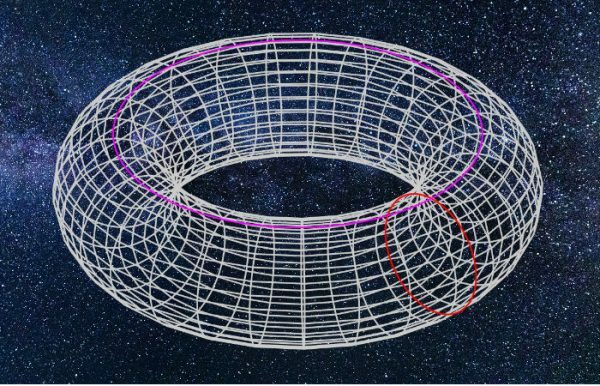 The torus structure is found in physics from the micro-scale to the extreme macro-scale of black holes and the universe as a whole, Meijer explained. It could be instrumental in dynamically integrating information in the mind and brain. Meijer discusses the broader implications for the philosophy of mind–matter relationships. Meijer wrote: “Our paper, may directly contribute to an answer on the famous question of [cognitive scientists and philosopher David] Chalmers …: how can something immaterial like subjective experience and self-consciousness arise from a material brain?”The ability of the mental field to pick up information from other fields, as conceived by Meijer, could also explain some anomalous phenomena, such as extrasensory perception, he noted. Since quantum physics emerged, scientists have been exploring its ability to explain consciousness. Meijer’s work fits within that exploration. Like Meijer, Penrose and Hameroff have said “there is a connection between the brain’s biomolecular processes and the basic structure of the universe.” They have also called for a major change in how scientists view consciousness. Update: Dr. Dirk Meijer has provided The Epoch Times with an update on his paper, clarifying that quantum tunneling and entanglement are not the most likely methods of information transfer between the mental field and the brain. These two phenomena have been shown to provide only a correlation between two particles, not necessarily information transfer (although that may prove to be the case with further research). 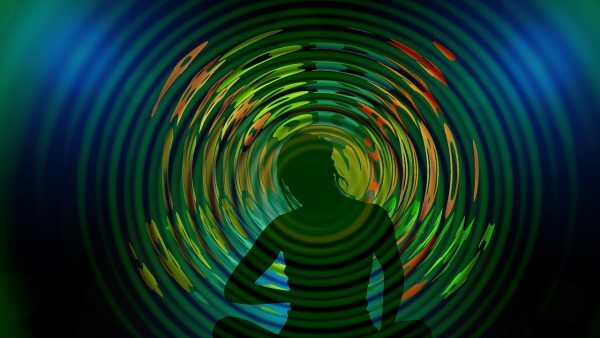 Rather, quantum wave resonance is a more likely mechanism of extremely rapid information processing in the brain. This means, instead of signals being sent between neurons in the brain, a wave pattern that encompasses all neurons, as well as the mental field, transmits the information instantaneously. 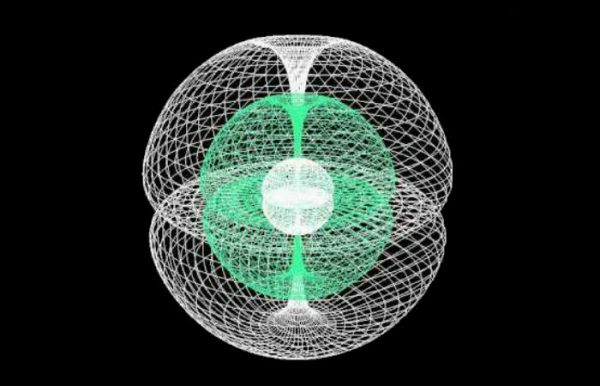 Picture a vibration wave going up and down in a consistent pattern and running all through your brain and even outside of it. That pattern communicates information that can be understood by vibratory receptors in your brain. All of this is happening in a dimension and at a microscopic level not directly perceptible through conventional scientific instrumentation at our disposal today, yet can be inferred through physical and mathematical modeling. It could rock your world both professionally and personally. You may be aware of the fact that Tony Robbins is one of the leading personal growthexperts in the world. Did you know he’s also a survivor of domestic violence? He’s open about that fact during his seminars; in fact, he uses it as a teaching tool. He’s also open about receiving a form of somatic therapy called Network Spinal Analysis (NSA), which has helped him overcome both physical and emotional issues in his life (related to his childhood and beyond). NSA was created by Dr. Donny Epstein in the 1980s. It’s deceptively simple yet profoundly effective. NSA practitioners lightly touch certain parts of your spine to release tension. By releasing that tension, energy is freed up, which the body uses to increase flexiblity in your spine and, by extension, your nervous system. At its core, NSA is an elegant hack to help you reorganize your body and mind, making you more physically and mentally flexible and resilient. It’s like a software upgrade for humans. In other words, NSA creates results double those of eating better, exercising, and doing things like stopping smoking–and it does so with no side effects. Practitioners also report that patients under Network care start making healthier choices on their own; instead of efforting their way to eating healthier (or being told they have to or they’ll have another heart attack), they just naturally start to do it. But it’s good for far more than just physical ailments. Because NSA treats the spine and in turn the nervous system, there’s almost nothing it doesn’t address. Your nervous system impacts everything: your physical pain; your emotions, your anxiety/depression; your energy level; your ability to process complexity; your stress level. So if people like Tony Robbins and Nobel laureates are raving about NSA, why have you never heard of it? Because we rarely talk about therapy openly, let alone somatic therapy. Because we are only now coming into a culture that accepts that your body and mind aren’t separate; they are one and the same. Because we tend to overemphasize how a person like Tony Robbins succeeded by his force of will, and underemphasize the behind-the-scenes healing modalities that help him thrive. The fact is, functioning at peak performance takes effort. It doesn’t just “happen.” If you look at the most successful individuals in the world, you will often find that, in addition to normal or “alternative” education, they’ve done extensive therapeutic work on themselves. This is because you can’t truly excel if you haven’t dealt with the blocks within yourself to your own success. In other words, you’ve got to be able to get out of your own way. And sometimes you need a little help to do so. “Network Spinal Analysis and Somato-Respiratory Integration, Donny Epstein’s revolutionary methodologies, are amongst the most powerful sources of personal transformation I have ever experienced or seen. They produce embodied and empowered strategies that are both sustainable and enjoyable for enhanced human resourcefulness and wellness. NSA has no adverse side effects. It’s not pharmaceutical in nature. It doesn’t require hospitalization. It isn’t hellaciously expensive. You can find a list of practitioners here. 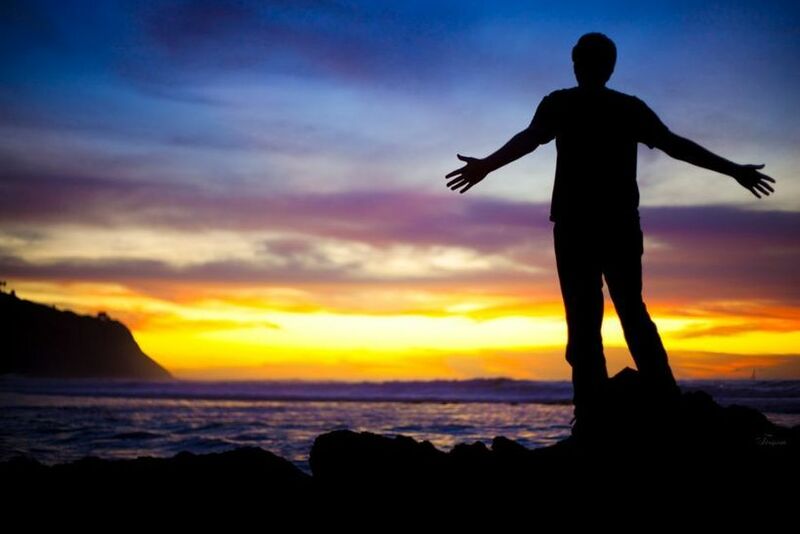 Please enjoy this wonderful article from Life Coach, Corey Wayne on Network Care. I want to share with you the most amazing healing modality that I have ever experienced in my life. It’s called network chiropractic care or network spinal analysis. It will make you feel more confident and sure of your actions than anything else you have ever experienced in life. Basically what network chiropractic care does is, it helps your brain find, fix and realign any unbalances, tension and spinal subluxations by facilitating the dropping of all muscle tension in your nervous system and spinal cord. When all the muscle tension in your spinal cord goes away, it’s easy for your brain to reconnect to all of the parts of your body and vital organs that it has been disconnected from due to subluxations of the individual vertebrae of your spinal cord. Due to emotional, physical and mental traumas we experienced throughout our lives that our nervous system is unable to process or handle, this unexperienced emotion or physical trauma shows up as muscle tension in our spinal cord. As we age and this muscle tension continues to build up, our brain slowly loses its ability to talk to and regulate the vital organs of your body due to the subluxation of your individual vertebrae twisting and pinching off the nerves that come out of the spinal cord and connect to all of the vital organs and systems of your body. As our brain loses its connection and contact with the bodies vital organs and systems, dis-ease such as cancer, etc. will show up in the most disconnected areas or the areas that has the greatest amount of spinal subluxation and muscle tension. Common sense tells us that if your brain cannot talk to all parts of the body, it can’t properly regulate blood flow, send oxygen and nutrients or properly remove the waste products of your cells. As we age, more and more toxins get parked in the weakest and most disconnected parts of our body. People who have a huge amount of muscle tension in their nervous systems will find it very hard to make changes for the better in their lives. Why? Because their nervous system is so out of balance and constantly in a stressed state, it simply does not feel safe to make any changes that add even more uncertainty to their lives. If you have watched the TV show I did a few years back which is located on the right-hand sidebar of this website titled “From Dud To Stud In 4 Days”, you can literally see and feel the changes and tremendous growth of confidence Mark and Dave achieved over just four days of chiropractic adjustments by my friend Dr. Dominick D’Anna, and some infield coaching by yours truly and another trainer. It’s like flipping on a switch. When the muscle tension drops, a person starts to feel peaceful, relaxed and super confident. It’s a feeling that all is well. It’s amazing! When you are in a peaceful and relaxed state you make great decisions. When you are in a stressed and fearful state your decisions tend to bring you more stress, fear and uncertainty. Network chiropractic care was founded by Dr. Donald Epstein. You can go to his website and learn more about this modern day genius by clicking here! On his website you can also click here to find a list of certified network chiropractic doctors in your area. Make sure you go to a doctor who is level III certified (they will have an “*” next to their name on the list). If you are in a relationship or married, make sure your partner gets under care as well. Why? 75% of the couples where only one of them is under network chiropractic care split up! Why? Once you experience and feel the confidence, certainty and peacefulness of regular network chiropractic adjustments along with SRI breathing exercises, you will slowly move away from relationships, jobs, people, careers, etc. that are unbalanced and unhealthy. It simply will not feel good to constantly be around people who don’t feel the same level of peace in their bodies as you now do. You simply won’t want to tolerate toxic people and situations. However, the couples who are both under regular network chiropractic care see their relationships and love deepened to a level they could have never imagined. They work more together in harmony and simply don’t get upset at the little things like they used to. Another thing that happens to both men and women who are under regular network chiropractic care, is their emotions are 1000 times more intense than they have ever been. You will feel your emotions on a level you have never experienced since early childhood. In other words, you start to become normal and healthy like you were when you were very young. Please enjoy this great article featured on www.neurosciencenews.com based on a Princeton University study. The researchers report in the Journal of Neuroscience that when mice allowed to exercise regularly experienced a stressor — exposure to cold water — their brains exhibited a spike in the activity of neurons that shut off excitement in the ventral hippocampus, a brain region shown to regulate anxiety. The impact of physical activity on the ventral hippocampus specifically has not been deeply explored, said senior author Elizabeth Gould, Princeton’s Dorman T. Warren Professor of Psychology. By doing so, members of Gould’s laboratory pinpointed brain cells and regions important to anxiety regulation that may help scientists better understand and treat human anxiety disorders, she said. Researchers found that physical activity reorganizes the brain so that its response to stress is reduced and anxiety is less likely to interfere with normal brain function. Running produced a large increase in the number of new neurons in the hippocampus — a brain region shown to regulate anxiety — of a mouse that ran for six weeks (above). The brown cells are new neurons, which are more numerous in active mice than sedentary mice, and the blue cells are mature neurons. Credited to the Gould laboratory, Princeton University. “Understanding how the brain regulates anxious behavior gives us potential clues about helping people with anxiety disorders. It also tells us something about how the brain modifies itself to respond optimally to its own environment,” said Gould, who also is a professor in the Princeton Neuroscience Institute. The research was part of the graduate dissertation for first author Timothy Schoenfeld, now a postdoctoral fellow at the National Institute of Mental Health, as well as part of the senior thesis project of co-author Brian Hsueh, now an MD/Ph.D. student at Stanford University. The project also included co-authors Pedro Rada and Pedro Pieruzzini, both from the University of Los Andes in Venezuela. For the experiments, one group of mice was given unlimited access to a running wheel and a second group had no running wheel. Natural runners, mice will dash up to 4 kilometers (about 2.5 miles) a night when given access to a running wheel, Gould said. After six weeks, the mice were exposed to cold water for a brief period of time. The researchers found that running prevents the activation of new neurons in response to stress. In sedentary mice, stress activated new neurons in the hippocampus (red and green cell above), but after 6 weeks of running, the stress-induced activation of both new and mature neurons disappeared. The red cells are new neurons and the green cells are activated mature neurons. Credited to the Gould laboratory, Princeton University. The brains of active and sedentary mice behaved differently almost as soon as the stressor occurred, an analysis showed. In the neurons of sedentary mice only, the cold water spurred an increase in “immediate early genes,” or short-lived genes that are rapidly turned on when a neuron fires. The lack of these genes in the neurons of active mice suggested that their brain cells did not immediately leap into an excited state in response to the stressor. Instead, the brain in a runner mouse showed every sign of controlling its reaction to an extent not observed in the brain of a sedentary mouse. There was a boost of activity in inhibitory neurons that are known to keep excitable neurons in check. At the same time, neurons in these mice released more of the neurotransmitter gamma-aminobutyric acid, or GABA, which tamps down neural excitement. 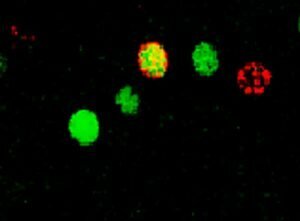 The protein that packages GABA into little travel pods known as vesicles for release into the synapse also was present in higher amounts in runners. The anxiety-reducing effect of exercise was canceled out when the researchers blocked the GABA receptor that calms neuron activity in the ventral hippocampus. The researchers used the chemical bicuculine, which is used in medical research to block GABA receptors and simulate the cellular activity underlying epilepsy. In this case, when applied to the ventral hippocampus, the chemical blocked the mollifying effects of GABA in active mice. The paper, “Physical Exercise Prevents Stress-Induced Activation of Granule Neurons and Enhances Local Inhibitory Mechanisms in the Dentate Gyrus,” was published May 1 in the Journal of Neuroscience. This research was supported by National Institute of Mental Health grant MH091567. Image Source: The hippocampus images are credited to the Gould laboratory, Princeton University and are adapted from the press release. 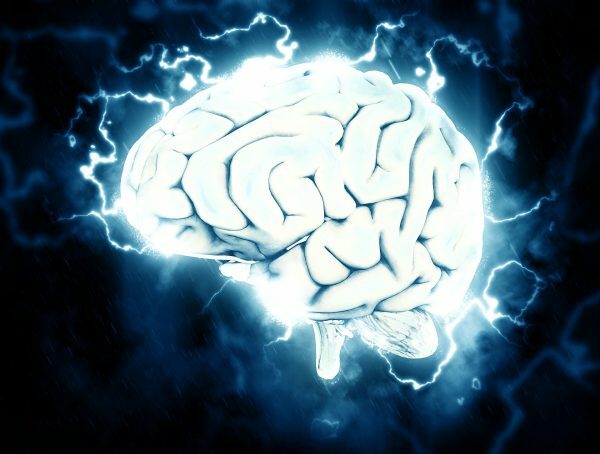 Understanding how energy works in your body can help you decipher your individual body’s unique language. The chakras are the energy centers in the physical body where your beliefs and emotions are transformed into your state of health. As you study each of your chakras, you’ll discover how your family legacy together with your current thoughts, feelings, and beliefs can directly affect the health of your tissues and organs. Whether you believe in chakras as literal places in the body or as metaphoric ones, they can help you activate mind/body connections to help you heal. The connection to your Divine purpose and spirituality. The third eye and the center of your intuition. The communication and expression of your inner will. The heart of your emotional energy powered by love. The emergence of your personality and identity. The center of your relationships. The foundation of your emotional health.